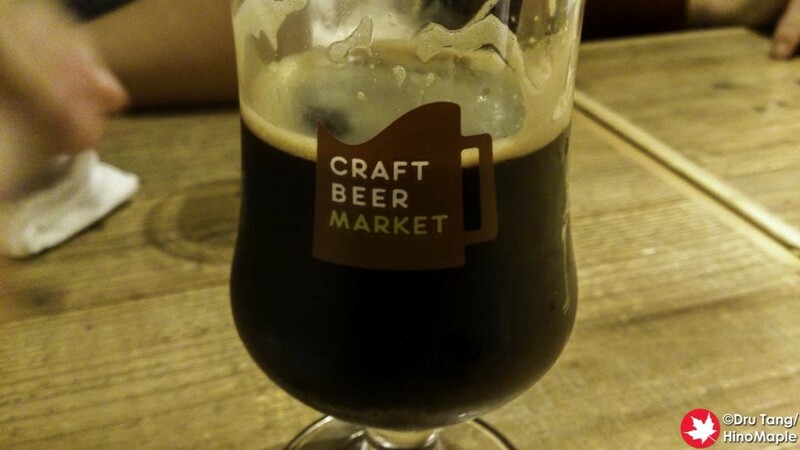 In the past, I went to Craft Beer Market with a friend and visited the Awajicho branch. Each branch is actually a little different and somewhat unique. The food they serve is actually different and based on what the chef of the shop can make well. The beers they serve are also different and quite fun. Since Craft Beer Market is a chain, you have a certain expectation on what you will get and they don’t disappoint. Finding Craft Beer Market in Koenji isn’t too difficult. Walking along one of the shopping streets on the north side of the station, you can come upon it easily as it is at the end of the street. The interior is really nice too but a little strange looking at first. There is a long corridor between the kitchen and counter with a lot of tables. They also have a long bar counter there and a space in the back for larger groups. The main point of the restaurant is the cooler which is lined with beer taps and information about each beer written on white tiles; really cool if you ask me. When I went to Craft Beer Market in Koenji, I went with a bunch of friends and we ordered the all you can drink with a set meal. Like all of the Craft Beer Market shops, the food was really good and the beer selection was excellent. The food had good portions and I was satisfied with what I ate. There were other things that I might have wanted to eat but I was really happy with it. 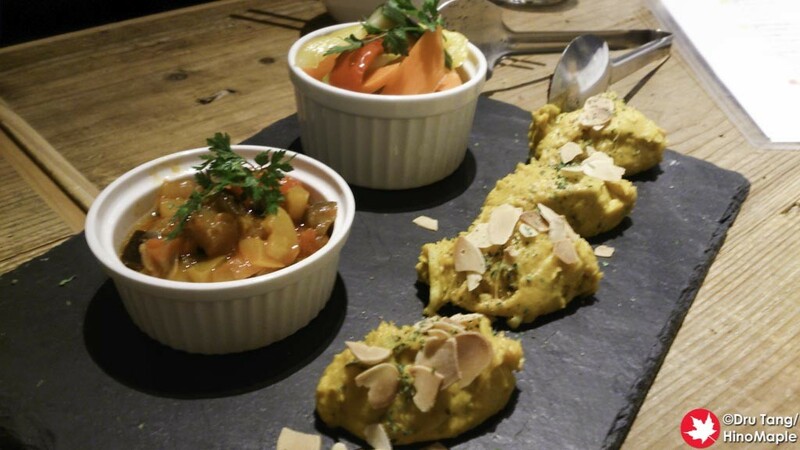 I really enjoyed the curry but the best dishes were the really light appetizers near the start. This is often subject to change as they tend to get whatever is in season and whatever they can find in the area. 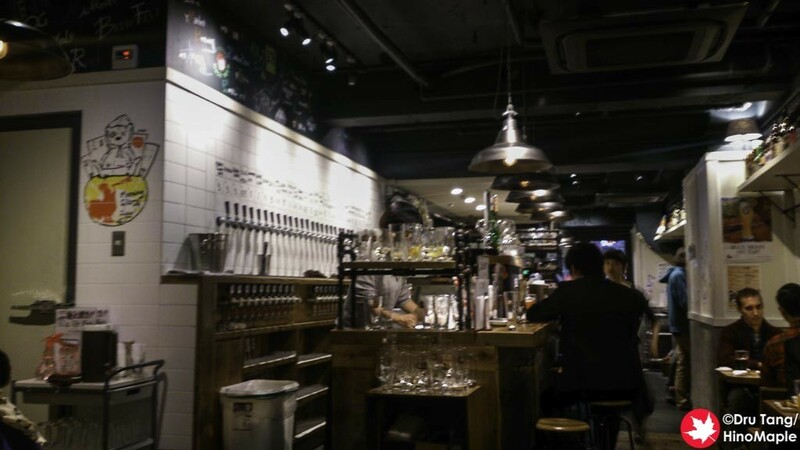 For the beers, they have 30 types of beers on tap and being the Craft Beer fiend that I am, I had already drunk roughly 30% of the beers on tap before visiting Craft Beer Market Koenji. It was hard to keep me satisfied with new beers, but I no longer expect to be surprised by the selection of most places these days. I started off with a nice Imperial Stout by TY Harbor followed by a wonderful Saison by Ushitora. Ushitora is one of my favourite breweries in Japan now and they make a lot of great brews. I continued to keep drinking and thankfully they served beers quickly even though the place was pretty full. The servers at Craft Beer Market Koenji were all girls. In fact, I didn’t see a single guy working at the shop. This may be a niche that this branch is using as they were mostly young girls that some of my friends flirted with. I just laughed but thought the idea was really good, but a little rare in Japan for craft beer shops. You do see women working there but they rarely take leadership roles for some strange reason. Craft Beer Market Koenji is a wonderful place and I’m sure that I’ll be back there again in the future. It is a little far for me to go there often but I do hope to be back sooner than later, but with other shops nearby, I’ll likely just go to the shops that are closer to home to save myself some time and money. 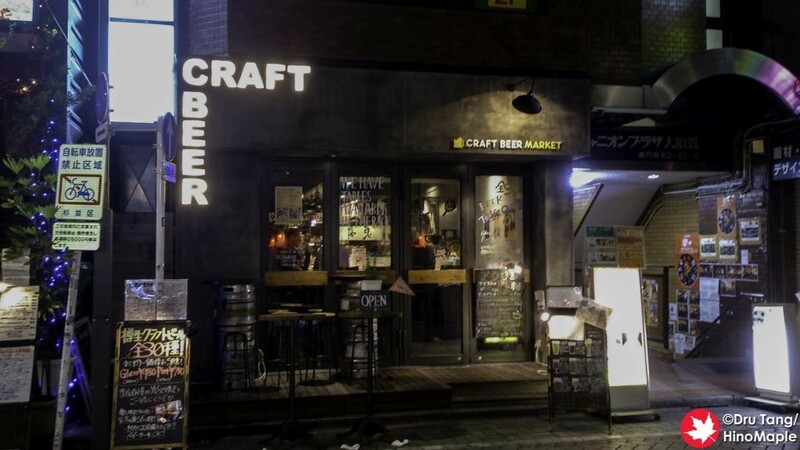 This entry was posted in Kanto Food and tagged beer, craft beer, Craft Beer Market, japan, Koenji, tokyo by Dru. Bookmark the permalink.